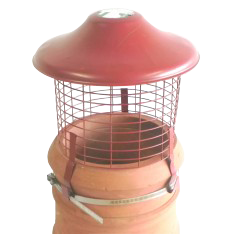 Specifically designed for chimney pots that are bigger than the standard 125mm-250mm. 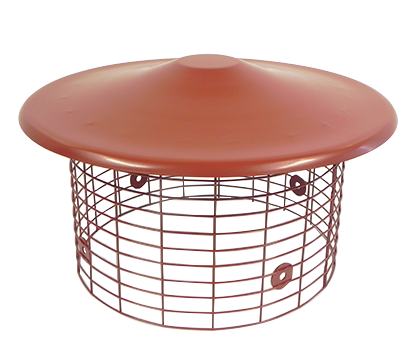 Ideal for sitting inside a crown pot without covering it, the large topguard will give you protection from birds, debris and protect from rain. 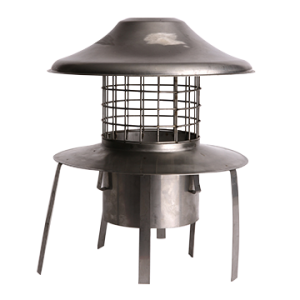 As standard this is built from fully welded mild steel which is then electroplated and powder coat painted and is available in a variety of sizes from 287mm – 500mm. A stainless steel version is available upon request. The large topguard is fitted using the jubilee band and strap technique. Some sizes are made to order only, if in doubt please contact us. 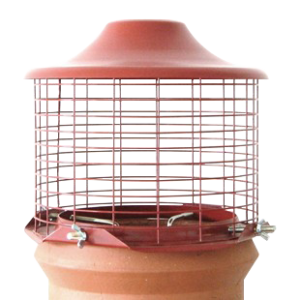 AVAILABLE IN THE FOLLOWING PAINTED FINISHES: Colours are for illustrative purposes and may differ to actual products. There is no natural colour for this product.